STARTING SCREEN | How does 2018 measure up among the best years of this console generation? Starting Screen is the USgamer staff's weekly column. Check back every Monday as we share our thoughts on the news as well as our favorite game music, movies at the box office, and more. This year is rounding out to a close, with a packed week of releases that signify that we're really at the end. Just Cause 4, Katamari Damacy Reroll, Persona 3: Dancing in Moonlight, Persona 5: Dancing in Starlight, and, of course, Super Smash Bros. Ultimate are all out this week, marking the last truly big releases of the year. It's been quite a year. We're already entering Game of the Year deliberations over here at USG (or rather, we're starting to organize our plans). Some of us think it's been the best year of the generation, what with Microsoft kicking into gear in announcing some acquisitions and putting release day games into Xbox Game Pass, Sony releasing some of its biggest exclusives of the generation, and Nintendo hosting a solid year of great ports and indie games on the Nintendo Switch. While it has been a great year for games—heck, going into my draft list for our Top 20 Games, I had to do a lot of condensing—I still think another year was really the best year of this generation. That's right, I'm talking about 2017. 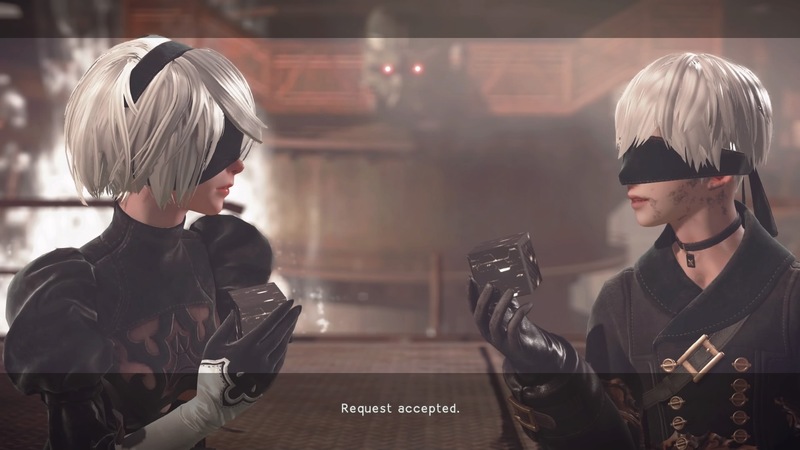 Nier: Automata was an unexpected hit last year. While 2018 seems to be the year companies got comfortable, 2017 was the year everyone started showing their best cards. Microsoft unveiled Xbox Game Pass, and its backward compatibility service got bigger and better in turn. The Xbox One X was a surprise smash hit too—it was the fastest selling Xbox console ever. Sony had some of the biggest releases of the year: Resident Evil 7 VR, Yakuza 0, Gravity Rush 2, Horizon Zero Dawn, Nier: Automata (which, admittedly, also released on PC, but it was a busted version), Persona 5, What Remains of Edith Finch (another cross-PC release, later released on Xbox One too), Uncharted: Lost Legacy, and probably others I'm missing too. Nintendo released the Switch and the landmark game The Legend of Zelda: Breath of the Wild, in addition to Super Mario Odyssey and Splatoon 2. In 2017, there was something for everyone, and that's what made it great. That's not to say 2018 hasn't had its own great year in gaming, it's just that when you stack it up side by side, you realize how muted this year is in comparison to 2017. Last year was like the Kool-Aid Man bursting through the wall, while this year he patiently knocked on the front door. At least judging from my personal (and still tentative) Top 20 list, this year has been pretty restrained when it comes to triple-A developers. Last year, most of my favorite games of the year were the big ones, save for the amazing Taiwanese horror game Detention. This year, a lot of smaller games have creeped onto my list. If 2018 should go down as anything, it's the year of great platformers and indie games in general. If I were to try and list all the great indie games I played this year, I'd lose out on space—but worry not, a list to that nature is en route for later this month. When it came to the big games, every console has had something to offer. The PlayStation 4 had God of War and Spider-Man, both highly acclaimed and popular games in their own right. The Xbox One released more experimental, niche exclusives like State of Decay 2 and Sea of Thieves in addition to releasing the best Forza game yet. But what Xbox One lacked in exclusives, it made up for in Xbox Game Pass, its Netflix-like game service where players have access to some games on day one. Microsoft also built out its backward compatibility and Xbox One X enhancements heavily in 2018. 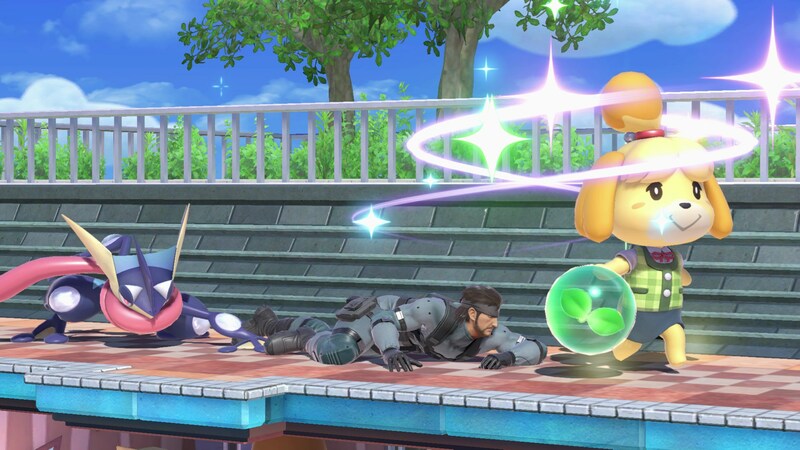 Nintendo, meanwhile, had a quietly great year. Plenty of ports got released, like Captain Toad: Treasure Tracker and Into the Breach. It wasn't been shy with original games either, with Super Mario Party, Mario Tennis Aces, Octopath Traveler, Pokemon Let's Go, and, of course, Super Smash Bros. Ultimate, the last of which is just around the corner. Spider-Man had one of the best photo modes of the year. Both 2018 and 2017 will no doubt go down as the best years of this generation, as looking ahead to what's next, I can't think of what else will blow the generation away collectively. 2017 and 2018 were each stacked in their own ways, but 2017 still pulls ahead when you compare the years and what it's brought us side by side. For once in the ongoing console debates, it feels like each console is in a comfortable place. There's no competitive nature looming overhead; no longer are there any catty clapbacks or disses like the days of E3 2013. Instead, each console is basically doing its own thing. Xbox One announced a bunch of acquisitions, and heading even just into this week's Game Awards with an announcement from Obsidian tells us that Xbox One might be about to glow up even more. Sony has Death Stranding, The Last of Us: Part 2, and Ghost of Tsushima in the works. It's a light line-up—so much so that it's skipping E3 in 2019—but Sony's been on top for so long, that I imagine when it returns from its time away from the spotlight that we might see what PlayStation 5 has in store. And then there's good ol' Nintendo: trucking along with the Switch, with a new Animal Crossing, Bayonetta, and Metroid Prime on the horizon. For those, I imagine we'll see more soon. And perhaps soon will mark this Thursday, when the Geoff Keighley hosted and produced Game Awards kick off at 5:30 p.m. PT / 8:30 p.m. ET. Game announcements, trailers, and more are promised for the awards night, in addition to, y'know, the actual awards. We'll be watching and reporting any of the news from it, and we hope you'll be watching with us too. PlayStation Classic [December 3]: Today marks the release of Sony's own entry into the retro-mini console race, and it's… not great. From using PAL 50hz versions of games to not even being able to render the Final Fantasy VII battle swirl right, the PlayStation Classic is stacked with problems even beyond its lackluster roster. Still, if you really want it, it's out in the wild today. Gwent: The Witcher Card Game and Thronebreaker: The Witcher Tales [December 4, PS4, Xbox One]: Originally, refreshed Gwent and Thronebreaker released exclusively on GOG in October for PC players. After not great sales, CD Projekt Red course corrected, and released the anticipated games from the Witcher universe onto Steam. This week, they release on console too. We enjoyed what we played of Thronebreaker, plus Gwent's a lot better now, so it comes recommended from Team USG. Just Cause 4 [December 4, PS4, Xbox One, PC]: Just Cause 4, the latest in the chaos-driven Just Cause series, is almost here. Just Cause 4 brings with it extreme weather effects, such as tornadoes, sandstorms, and blizzards. Basically, that means if won't just be you destroying stuff in it anymore: now the weather will too! Persona 3: Dancing in Moonlight, Persona 5: Dancing in Starlight [December 4, PS4, PS Vita]: Oh yes, dear readers, we are noting a new Vita release this week! Honestly, the Persona Dancing games are at their best on Vita, so if you're planning to boogie down with these games on any console this week, I recommend the one you have to dust off. As a rhythm game, it remains unchanged from its predecessor Persona 4: Dancing All Night (even the customizable items have been carried over), but it's a great excuse to enjoy the great soundtracks of Persona 3 and Persona 5 again. The Last Remnant [December 6, PS4]: The Last Remnant, once a Xbox 360 and PC JRPG from Square Enix, is finally making its way to PlayStation. 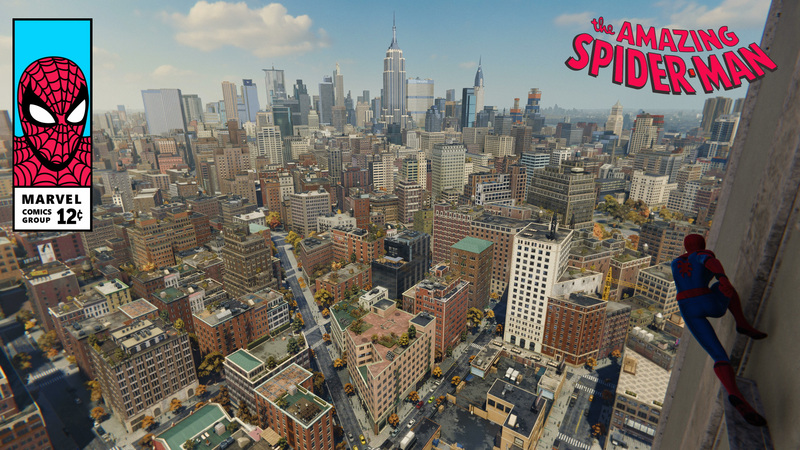 The new remaster includes a full engine upgrade from Unreal Engine 3 to Unreal Engine 4, as well as a "high-speed movement" feature. Katamari Damacy Reroll [December 7, Switch, PC]: Na-na-na-na-na-na-na, Katamari Damacy is rolling back into 2018. Katamari Damacy doesn't just contain one of the best soundtracks ever, it's one of the best games ever (arguably, or at least its direct successor is). Anyways, Katamari Damacy is getting a remaster, and for its Switch version has the nice added bonus of gyro controls and HD rumble. PlayerUnknown's Battlegrounds [December 7, PS4]: PUBG is finally on PS4! It's been rumored for a long while, and that Xbox One console exclusivity has neared its year anniversary. Considering how it plays on Xbox One, it might be best to stick with Call of Duty's Blackout or Fortnite for your battle royale itch on console. Super Smash Bros. Ultimate [December 7, Switch]: The game Smash and Nintendo fans have been waiting for is almost here: Super Smash Bros. Ultimate. It's the biggest Smash Bros. entry yet, bringing with it all the characters across its history, plus loads of stages and Spirits (supporting characters) to bring along for the fight. Now, let's just wait patiently for Goku as a DLC hero. The Game Awards are this week! They will be streaming on Thursday, December 6 at 5:30 p.m. PT / 8:30 p.m. ET. God of War and Red Dead Redemption 2 lead nominations, and Obsidian, the directors of the Avengers films, and more are already confirmed to be there. Kinda Funny Games is also having a showcase of its own, with half a dozen games releasing during the hour-plus program, according to a press release. You can tune in to the Kinda Funny Games Showcase on Saturday December 8 at 10 a.m. PT / 1 p.m. ET. We've all been playing Red Dead Redemption 2 (and by extension, Red Dead Online). 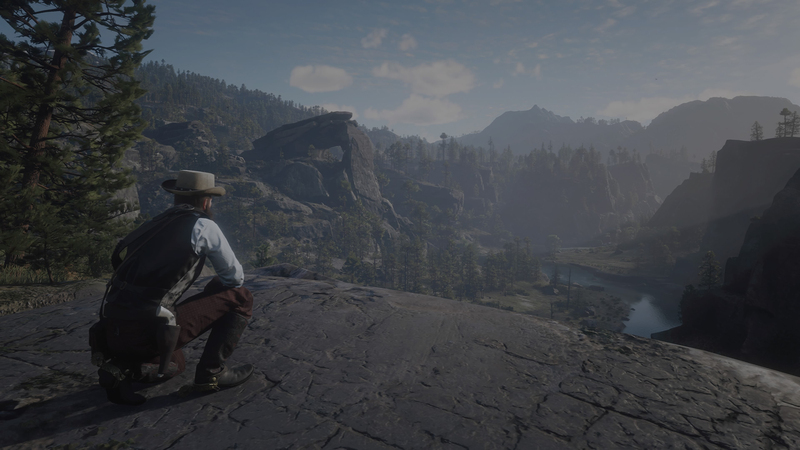 Last week Kat wrote about how she hopes Rockstar supports Red Dead Redemption 2 with single-player DLC, where I dove into spoiler territory regarding the ending of Chapter 6. On the subject of Red Dead Online: it's not good. While it's chill in a way that GTA Online isn't, it has some major problems with its economy. Luckily, fans are partnering up to get Rockstar's attention in fixing it. Someone found a Getting Over It with Bennett Foddy Easter Egg in Just Cause 4, where you can literally play Getting Over It... only with Rico Rodriguez. Pretty cool! Foddy narrates again too. Pokemon Go's getting PvP trainer battles soon, finally making it something like a full-blooded Pokemon game. Tumblr's banning all adult content soon, which means fandoms are going to suffer; yes, that includes game-related ones. Fortnite's entering Season 7 this week, and as the storm cloud in the distance predicted, it's going to be a chilly season. Fallout 76 is getting a big patch this week that will fix bugs, the C.A.M.P. system, and more. Read the full patch notes here. Axe of the Blood God: Shin Megami Tensei is great, but Persona is the series at its peak form. On this week's episode, Kat and Nadia fight over whether Persona 4 or Persona 5 deserves the Number 9 spot on our RPG countdown. Subscribe here for the full podcast! Oh, and we're now available on Spotify too! Tagged with 2017 in Games,	2018 in Games,	Nintendo Switch,	Opinions,	PlayStation 4,	Starting Screen,	Xbox Consoles.